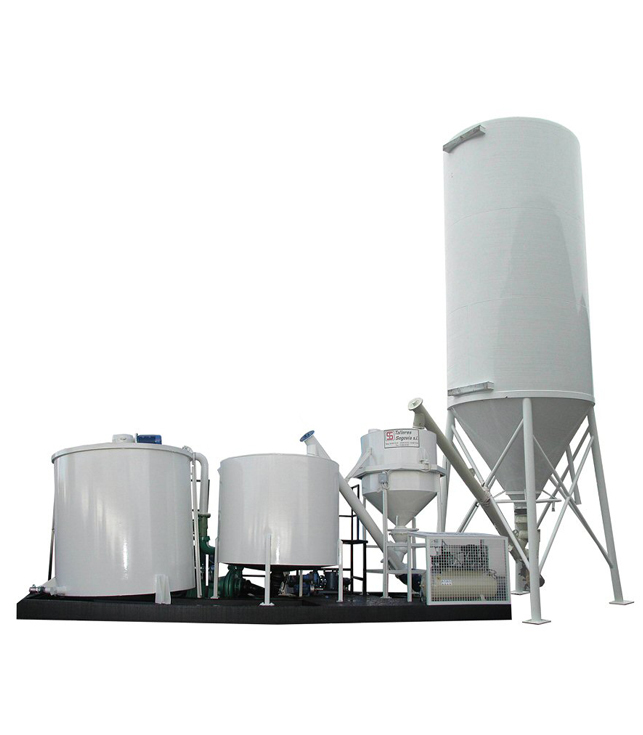 Complete plants for weighting, measuring up, mixing water/cement/bentonite for performance up to 20 m3/hour. Provided with vertical silos of dry content flowmeters, weighting cells, transport, augers, turbomixers and stirrers. The complete process is automatic to get homogenous mixs of different densities. Also air compressor for valve actuators and air transport to cancel dry material bridges.